The Cameo frame was cut down just a bit to make it fit perfectly into the frame. 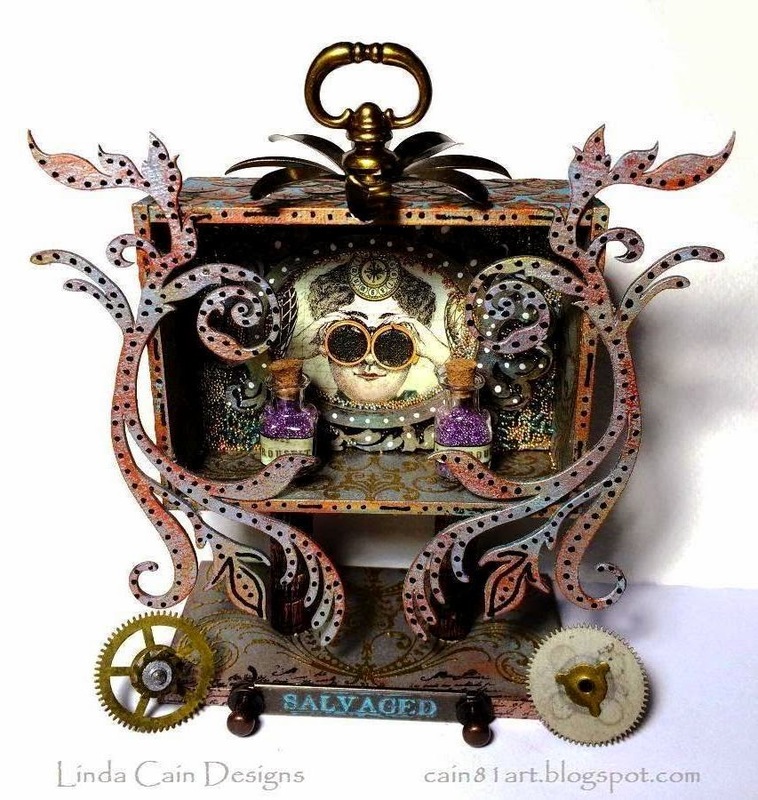 I added lots and lots of different metallic paints and patinas to everything until I got the look I liked. The outside is painted first and then I added Copper Crackle Texture paste with the Fish Scales stencil. Very cool finish. The inside is where I used gold embossed stamping on the sides. The Tiny Vials are filled with Micro Beads. 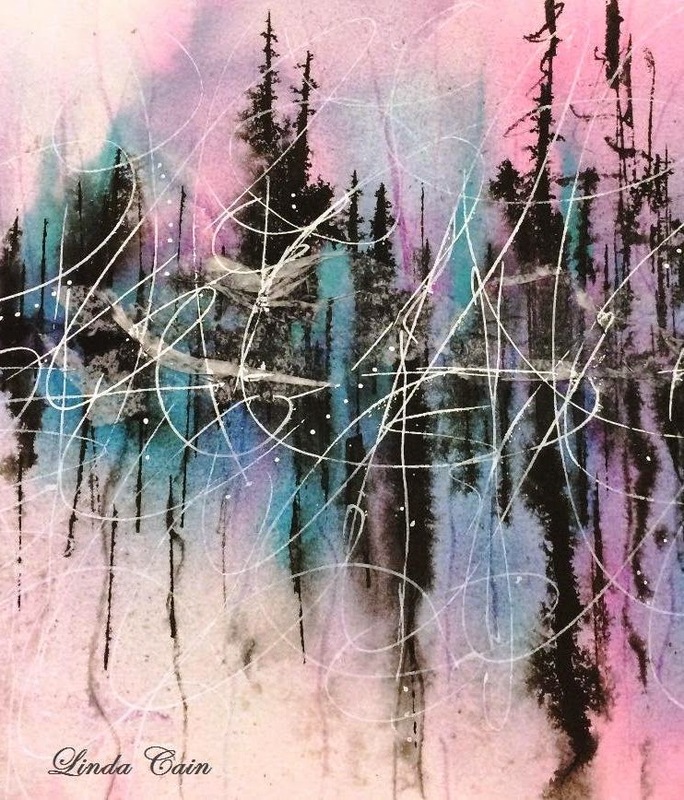 The Glass and Micro beads on the back that fill up the background are applied with Soft Gel. I used 3D Matte Gel to add the heavy pieces...and it really works great. The top is 2 pieces of metal, one a Large Mechanical Flower, just balanced up there with a gob of Gel...and it's perfectly "stuck" this morning! I love it! The picture is from the Vintage Steampunk ATC backgrounds sheet as well as the little labels on the bottles. You've got to LOVE the new Flourishes!!! So check out all the links and get to work!!! It's my turn again on the Finnabair Blog for the Creative Team! I LOVE doing these posts so I can share the cool products Finn has come up with, and show you a snippet of how I used them. 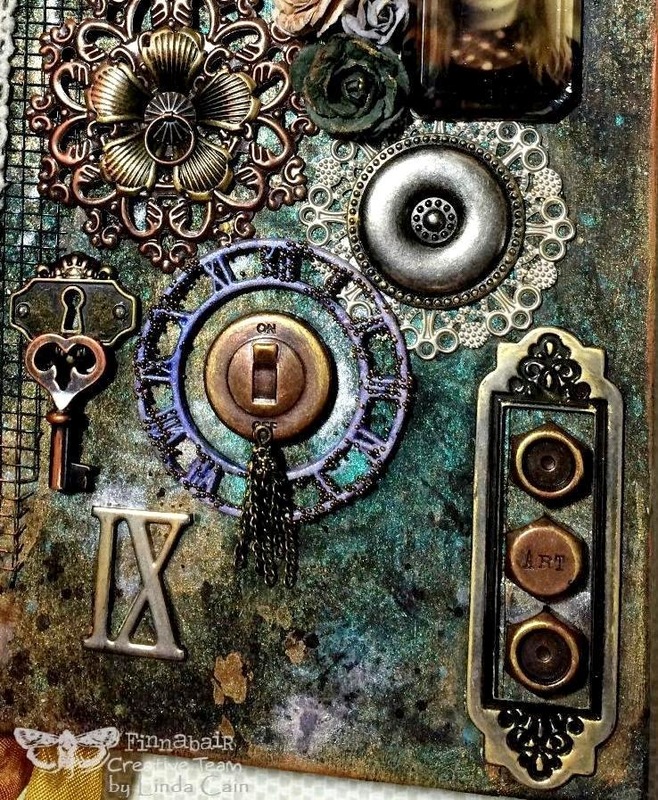 This is my Altered Journal Cover. It started out like this. I've had it for several years, and it's just been on a shelf BEGGING to be changed and altered into something different. 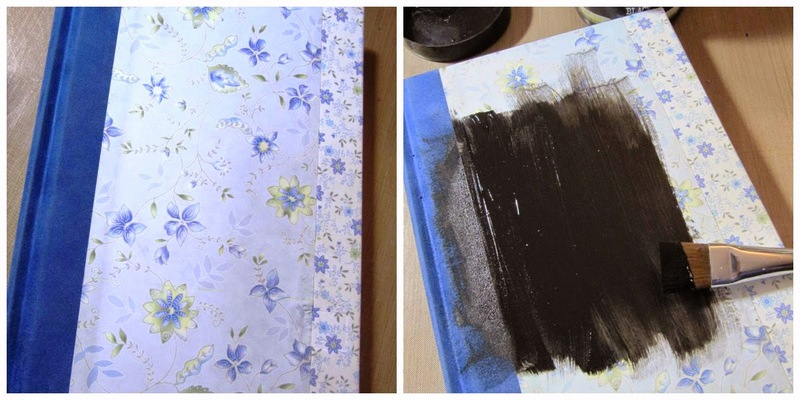 I started by painting the entire cover and spine with Heavy Black Gesso. Then I took out a few elements I wanted to add and base coated them with Heavy White Gesso. I mixed up some Soft Gloss Gel with Purple Mica Powder and painted the pieces with it twice. While it was still wet, I pushed the pieces into a pile of Copper Micro Beads. Wherever they stuck was just fine with me. I added a couple more beads in places that needed more. 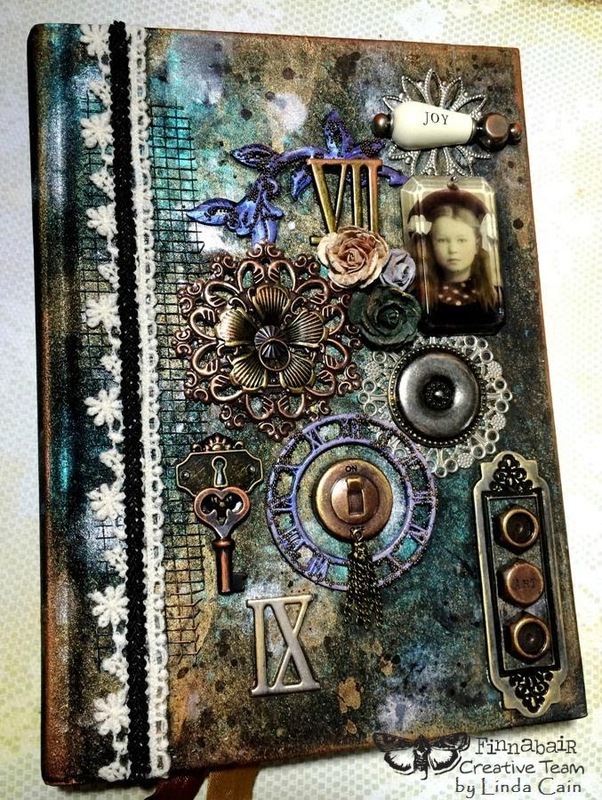 When the Journal Cover was dry, I sprayed it with Perfect Pearl Mists and let them drip. I used Turquoise, Copper and Perfect Pearl. Then I started to lay things out on the cover. I found some plastic mesh from my stash and cut a piece for the edge near the spine. This is a closeup of how the gorgeous colors come together. 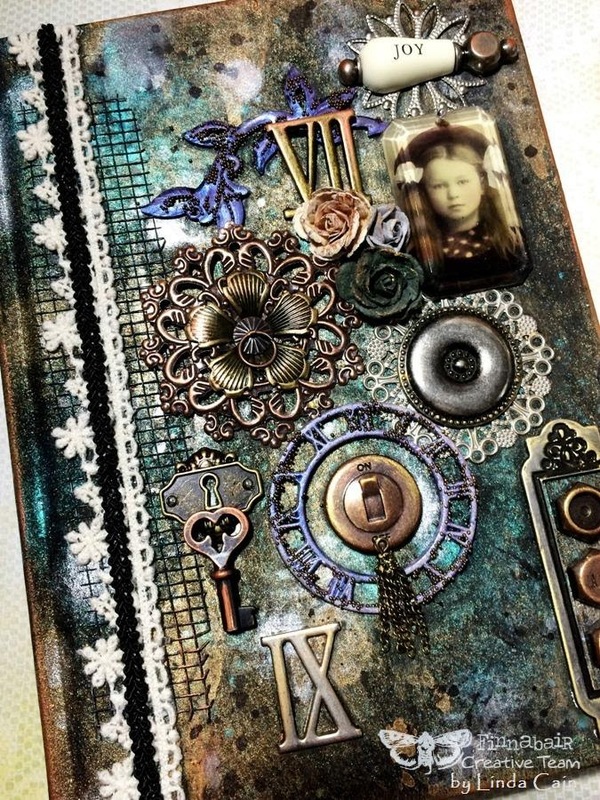 The Flowers and Vintage Centers are layered onto the book with Gel. I found another metal label in my stash and saw that 3 Bolts and Nuts fit in it perfectly. I used Mini Flowers and Roman Numerals to fill in some of the spots. And, yes, the Leaves are really, really Purple. They are iridescence and turn a blue and purple color depending on the light. Gorgeous color! I used 3D Gloss Gel to glue everything into place. The Facet has a Vintage Photo of a girl glued and trimmed to the back. After I had it all glued together I added some Inka Gold and Copper to the edges and high points of the elements. The 2 layers of trim along the edge holds down the black mesh. And the Joy Bath Knob says it all about how I felt when it was all done. The last thing I did was add drops of black Archival Ink in areas to just add a little more contrast. I hope you enjoyed this tutorial. 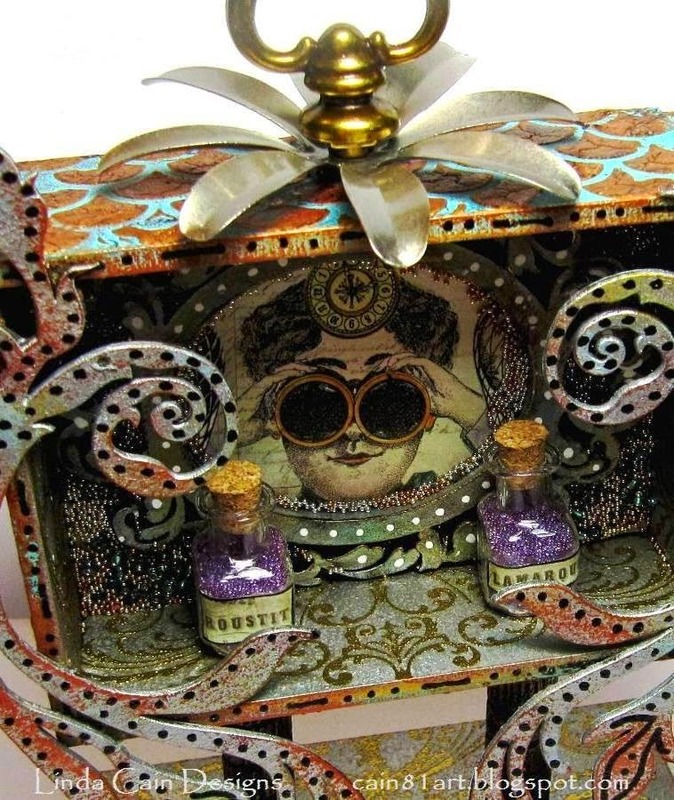 Don't forget to click on the links below for products in the Mixed Media Place and elsewhere. for Wednesday's Art Recipes and the super talented Creative Team's Projects throughout the week. I had such a great time with Judy Hauffe and Jo Warner at Artiscape this past week. Everything was perfect...the food, the classes, the hotel, the shopping, the people....PERFECT. I finally met friends from social media and rekindled old friendships. I am worn out from all the good times, but ready to use my new inspirations. I've already shared these pics on FB, but had to write up a bit about the weekend to share here. This is from my classes with the incomprable Jen Crossley from Australia. Jen and I "met" through a swap in 2005 and have continued our long-distance friendship for years. I FINALLY got to meet her in person and it was a friendship made in heaven. 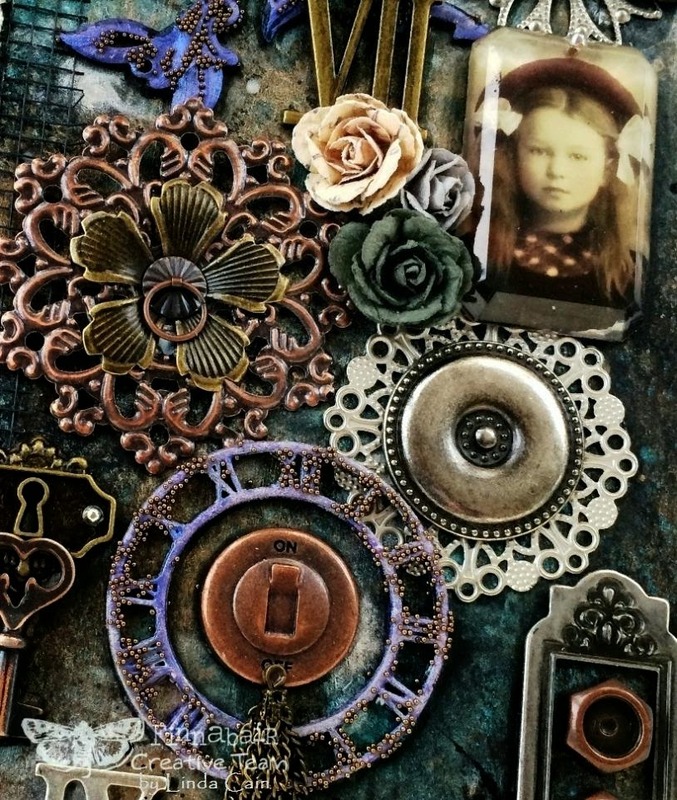 This is what I made in her fabulous classes...2 brooches and an etched book that is still in progress, but I absolutely love the cover I shared here. The theme of Artiscape this year was Paris, and each guest received this lovely Eiffel Tower at their dinner table. Too cool! This is the gorgeous brooch, that I am now extremely proud to own, designed and created by Jen Crossley. She is sooooooooo talented. If you ever get the chance to take her class you will not be disappointed. She is as brilliant as she is fun! Just an an amazing human being. She brings out the CRAZY in everyone! Always "on" and never, ever, boring! I cannot say enough good things about this fabulous lady....well, maybe lady was laying it on a bit thick....just kidding...she's a HOOT! This is from my Transfer Technique class with Serena Barton. I learned so much and really love how these 2 transfers on 9x12 canvas board turned out. Take her classes when you can, she is amazing! And this is a piece I made in Rose Huart's calligraphy class. The fluid technique was really fun and not intimidating. Must try more of these! So if you get the chance to go next year to Artiscape or take classes with these Artist's in the future I think you'll be amazed. Thanks again to Judy and Jo for letting me tag along, it was a fabulous trip! Today Prima is spotlighting 4 Artists projects from the Finnabair Creative Team using the amazing new Finnabair Mica Powders! 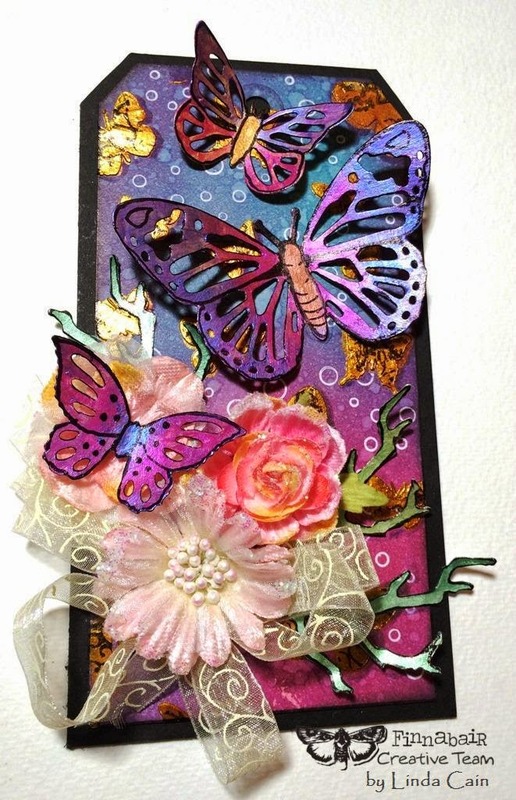 My tag has Butterflies and Twigs painted with Soft Gloss Gel and Mica Powders. I mixed Gold Mica Powder and 3D Gloss Gel to use with the Butterfly stencil. When dry, I stamped with black archival ink using the Tea on Deck cling stamp. I randomly added white gel pen accents with the Bubble stencil. White really makes the colors pop. for more indepth steps and the other Artist's projects! They ARE gorgeous! 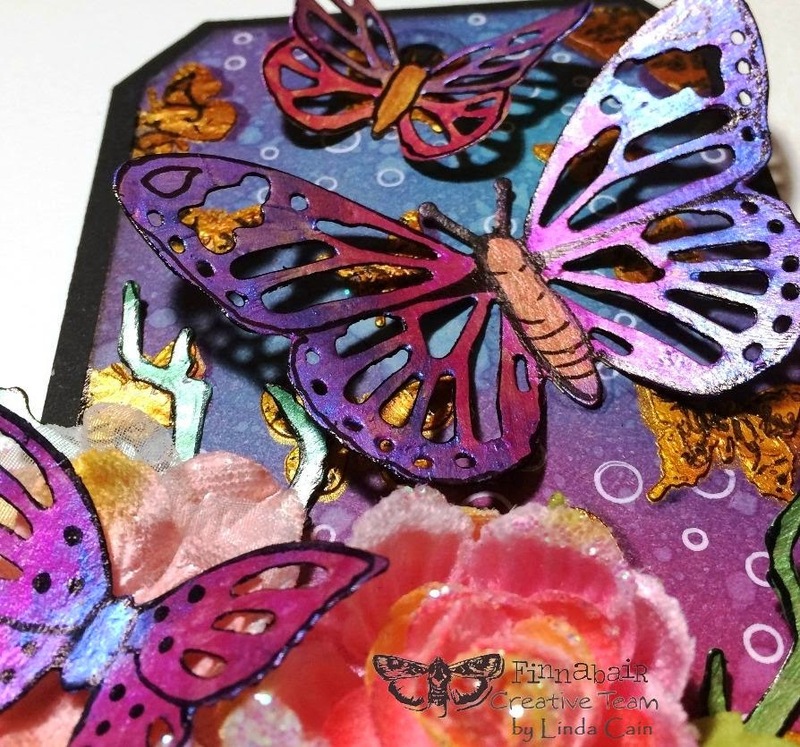 Prima Products: SoftGloss Gel , 3DGloss Gel , Elementals - Butterfly Stencil , Elementals - Bubble Stencil , Finnabair - Cling Stamp - Tea On Deck, Finnabair Mica Powders – Green, Gold, Teal, Pink, Lipstick and Purple, Prima Sizzix Thinlits – Winged Beauties, Prima Flowers. Retro Cafe Art Feathers All Dressed Up! It's been awhile, we've been doing a Kitchen Re-Make and it takes a great deal of time and thought....I'm glad to see light at the end of the tunnel. But Spring has finally arrived, the birds are all a-twitter, and Feathers are on my mind. When I saw Kristin's laser-cut Feathers I knew I had to play with them. They are so beautifully designed!!! This one is probably my favorite, but I love them all. I start with a base-coating the chipboard with Heavy White Gesso. I paint a whole batch of pieces at one time to make it easier later. Then I add layers of paint made by mixing Finnabair's Soft Gloss Gel with her gorgeous Mica Powders. I start with dipping my brush into the Gel and then picking up the Power from the jar with the brush. Mix them on your craft sheet or a piece of left-over packaging. It dries rather quickly, so I only do one color at a time. You can add more than one layer and blend colors. Here you see how I added colors over the top of others and outlined the Feathers with a black Sharpie pen to create contrast and make the colors pop....as they say. I wanted to try my Finn's Glass Glitter on one of the Feathers, so I brushed on more Gel and sprinkled different colors of Glitter, one color at a time, onto the Feather. I think it turned out pretty cool! The Feathers come in different sizes and can be cut from Masonite and chipboard. So check out the links and get to work!!! Finnabair-Art Ingredients - Mica Powder - Copper, Teal, Purple, Blue, and Pink. Finnabair-Art Ingredients - Glass Glitter - Midnight Blue, Violet, Pitch Black, and Velvet. I LOVE LOVE LOVE the bright new colors in the Fresco Paints! Bougainvillea, China, and Lavender are just WOW! This time our theme is Grunge Paste......and that stuff is amazing! 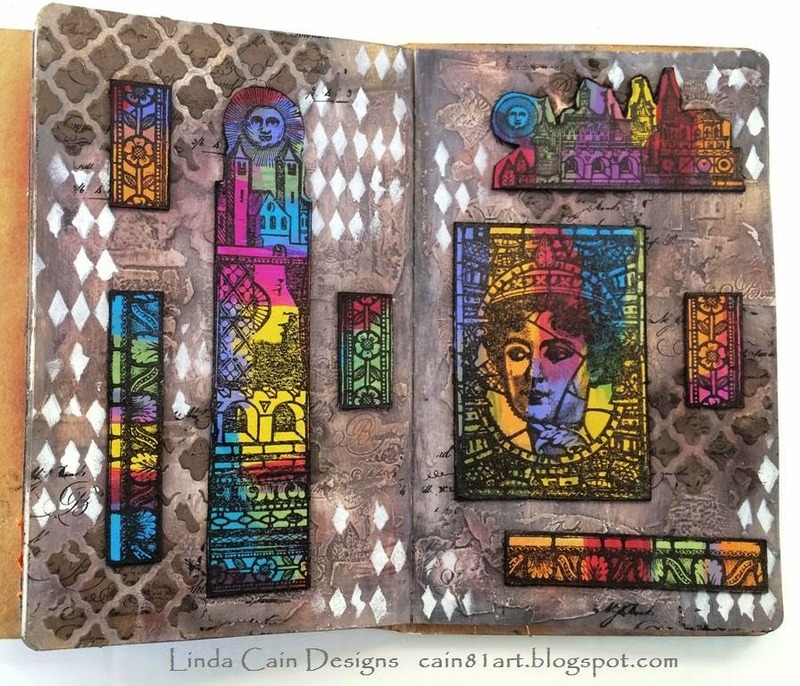 I decided on a Journal Page for this project using Lynne Perrella stamps LPC033. 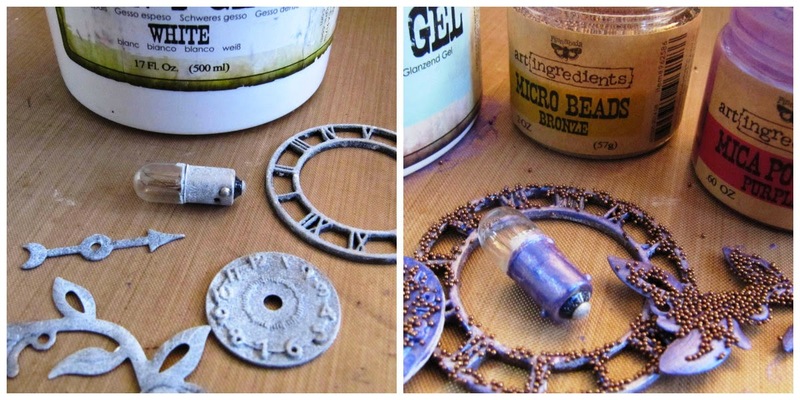 This is Grunge Paste that has been stamped into, dried and them layered with several different colors of Fresco Paint. Then it is sanded down. My goal was to create a vintage stone-carved building effect for the background used during the era of Kings and castles. The Lynne Perrella stamps are used on plain chipboard that I painted with Snowflake Fresco first. This ensures you'll get a true and bright layer with your colors. And YES, these new colors are just this BRIGHT! The swatches of color are just randomly painted on a 4x6 piece of chipboard, then all the images were stamped and cut out. To brighten the background up a bit, I added a harlequin stencil with Snowflake in spots. A lot of the Treasure Golds have been removed with the baby wipes. But here you can see some of the Treasure Brass and Rose Quartz that added a purplish hue to the background. The same small script stamp I used in the Grunge Paste was used with black ink as the last layer before adding the pictures. I REALLY had fun with this piece. Lots of adding and removing of color, Treasure Golds, inks, and paints to get the results I am very pleased with. The painting on the chipboard and stamping was the easiest part! and don't forget to enter the challenge there for a chance to win in the drawing!